I want to share with you Hassan’s perspective on it, given his experience, travels, and interactions with people of different cultures and backgrounds. If you learn about multiple cultures, you understand people better – you understand their perspective. This allows you to socialize and make friends much easier, and with a variety of people, and not just one type or one kind of people. When you talk to people, they instantly sense that you have a rich culture, and open up to you more. They share more about themselves with you and give more credit and listen more to what you say. Cultural intelligence can enhance your social life. Read on to discover Hassan’s perspective on it. First off, who is Hassan Ghiassi? 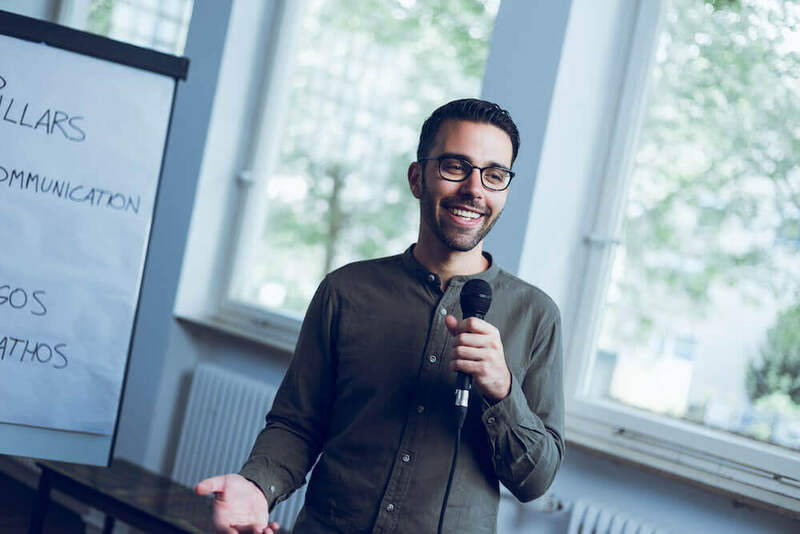 Hassan Ghiassi is the Founder of Aristotle’s Cafe, a format proven to improve the ability to communicate effectively, think critically, and at the same time increase cultural and emotional intelligence. He has run workshops at Universities, inside Corporations, and even at the Techsauce Global Summit – one of the biggest tech conferences in the world. With 13 years of international experience working across 3 continents, Hassan knows what it takes to connect with people both personally and professionally. Paul Sanders: From your experience what social skills do people lack most? 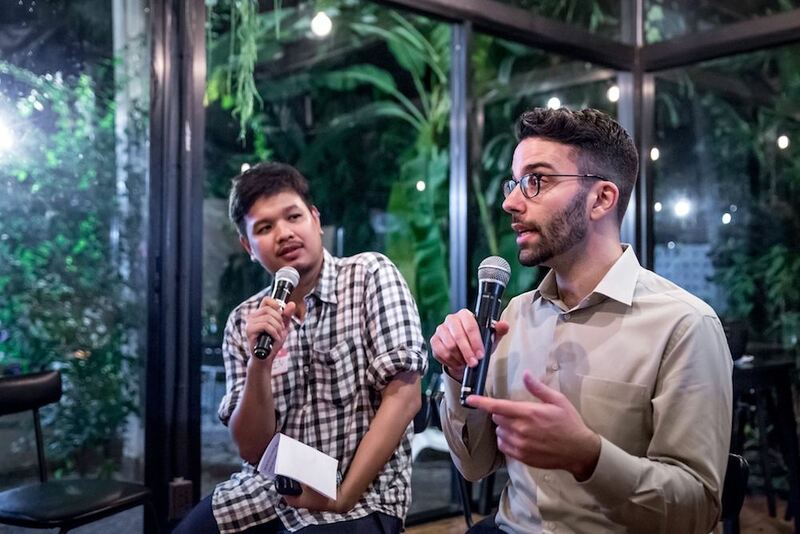 Hassan Ghiassi: From my experiences outside of the U.S. and living in a number of different countries, I would say Cultural Intelligence and Active Listening. I know that’s not extremely specific, Cultural Intelligence isn’t just about knowing about people or norms outside of your own country, but I would say even understanding your neighbors and coworkers. Everyone has a different background and upbringing, everyone is coming from a slightly or extremely different perspective. I’ve seen so many people take opportunities to communicate and completely fail because they believed that the person they were interacting with was just an exact copy of themselves. And that’s simply never going to be the case. Active Listening is exactly how it sounds – in order to truly understand someone you’ll have to stop the dialogue in your own head and hear what the other person is saying. Without the ability to listen communication becomes a one way street, and that’s never a good way to build a relationship. Paul: What is your definition of Cultural Intelligence? The ability to empathize with other people, and at the same time adapt your own behavior and communication in order to be effective in your approach. I think the dictionary definition is “the ability to relate and work effectively across cultures.” But I think that misses out on a very important thing to think about. We often times make the biggest mistakes while living and working inside of our country of origin. Companies have cultures, cities have cultures, neighborhoods have cultures, and families have cultures. So when it really comes down to it, it’s about moving throughout life and approaching romantic and non-romantic relationships correctly. And if you do it right those relationships will be long-lasting and full of understanding, acceptance, and care. Paul: How does it help in socializing or making friends? Hassan: Imagine if you understood the difference between a good joke and a bad joke – your conversations would be full of laughs. No one would feel offended or treated badly. When you understand someone’s perspective, background, and values (important parts of their culture). You’ll be much better at holding conversations that flow and are enjoyable. 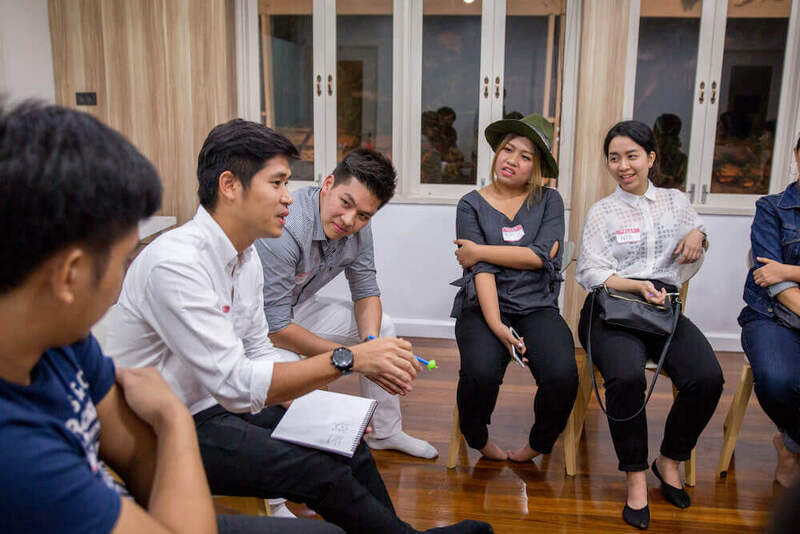 When you start to build up knowledge and understanding of different perspectives, cultural norms, and best topics to talk about, you’ll find it easier and easier to make great first impressions and create long-lasting friendships. Paul: Do you have any examples from your own life? Hassan: I do, but I’m wondering which one would be the best one to share. Maybe the easiest place to start is with my discussion groups. 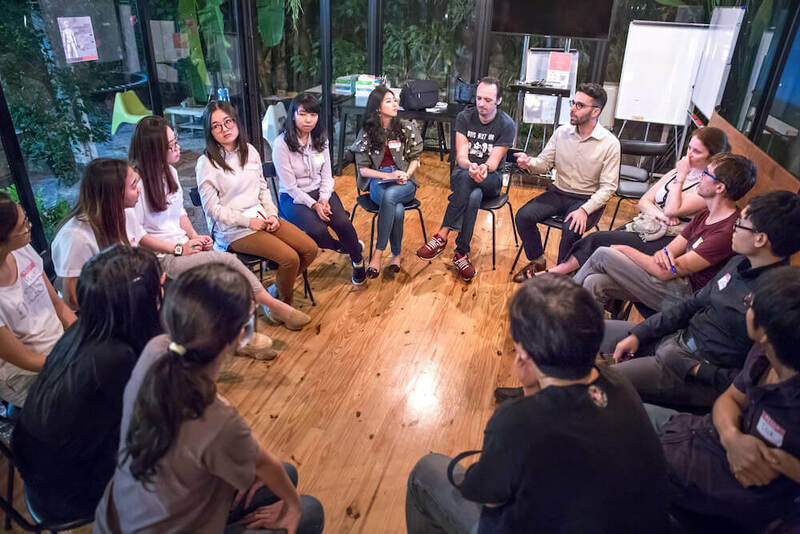 I’ve held my discussion groups all over the world, in places where people have never even thought of getting together and talking to strangers. Like in Cambodia or Thailand – it’s not a normal part of the culture here. But every time I hold one of my sessions participants always comment on how safe they feel, on how much they enjoyed the experience, and they often come back with friends for the next meeting. Of course, Facilitation skills are part of that, but another huge part is Cultural Intelligence. How you welcome people when they first arrive (Shaking hands, bowing, saluting, etc…), asking them appropriate questions to get to know them, and how the sessions end and you say goodbye. The next example is that I’ve had the extreme honor of being called “son” or “brother” almost everywhere I’ve lived. There are kind people everywhere, this is the first fact I’d like to put forward. I think people, in general, are looking to be kind and create friendships and connections. When you listen and approach interactions in an appropriate way you’ll meet even more of them. I’ve never had trouble finding families that invite me into their homes for a meal. And in many of the places I’ve lived, there’s been a kind of “foster” family who have taken me in. Living in Cambodia there was one family in particular that didn’t speak much English. I spoke very little Cambodian (Khmer) during my year in Siem Reap. However, we enjoyed each other so much that I was there almost every day. When I go back I visit them and it’s like I never left. I have so many more examples, but I would say these are the two that show the short-term and long-term benefits of Cultural Intelligence on friendships. Paul: Do you have any recommendations for people looking to increase their Cultural Intelligence? Cultural intelligence is like a muscle, you have to train it for it to get stronger. One of the best ways to do that is to first use Active Listening, but also to get in contact with people from different backgrounds, find out what they think about, what their opinions are on important subjects, and what they value most. I myself do this every week by leading Aristotle’s Cafe discussions, allowing myself to lead a diverse group of people while asking powerful questions and getting people to share really interesting opinions. But that’s just something that I’m passionate about. My recommendation would be this – find something that you love. Then find a way to meet people in your area and strengthen your Cultural Intelligence. Paul: Any last comments or thoughts? Hassan: I just want to say thank you for connecting with me and asking me for the interview. I think it’s also another nice story of Cultural Intelligence. I reached out to you a while back about great conversation topics, and since the very beginning we had really easy and a nice understanding. So I just want to say thank you again. I’m really looking forward to seeing what comments and questions your community here might throw into the mix. We hope you’ve enjoyed this interview and we’d like to say big thanks to Hassan for his insights.